Now would be an awesome time to take a self catering holiday on the Isle of Wight as we are having some cracking weather which means long days and evening to explore what the Island has to offer. The Wight Holiday Company are offering a 20% discount on 7 night self catering holiday accommodations on the Isle of Wight between the 14th July through to 28th July. Also discounted Isle of Wight ferry crossings are available on all self catering property bookings whether they are for 7 nights or just a short break. 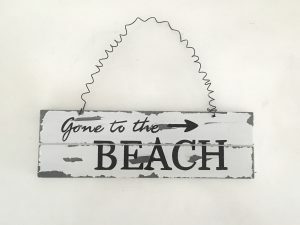 Grab an isle of Wight self catering accommodation below because it’s time to hit the BEACH!! Junipers located in the heart of Seaview village, just a 3 minute walk to the beach, 5 minute stroll to the local shops can sleep up to 10 people. It is a perfect choice for family holiday. We are offering either a 20% stay off of 7 nights Friday 20th July or a free ferry crossing for a short break Monday 16th July – Friday. Albion Apartment Top Floor opposite the beach in Seaview is a great place to enjoy your self catering holiday on the Isle of Wight. Boasting sea views from every room, including the bathroom, it is a sea view paradise. We are offering 20% off 7 night stays at this property 14th July through to 27th July as well as discounted ferry crossings. 17B Dover Street in Ryde is a stones throw from the sandy beaches of Ryde, a perfect location to enjoy a self catering holiday. Close to the town centre with it’s array of shops, bars and eateries, it has great outside space to enjoy the sun all day and is so close the ferry ports that you do not even need a car. We are offering 20% off 7 night stays at this property 14th July through to 27th July as well as discounted ferry crossings. Sea Breeze, 22 Shore Road in Gurnard on the Isle of Wight, a perfectly located self catering holiday property right on the beach. Perfect for sailing events, sailing crews or a family self catering holiday. Sitting out on the balcony watching the sailing boats go by or perhaps enjoying the sunset. This is a true holiday home to enjoy Island life, you could think you were in the Caribbean. We are offering 20% off 7 night stays at this property 14th July through to 27th July as well as discounted ferry crossings. The Jetty in Sandown, now who wouldn’t want to stay in an Isle of Wight self catering holiday accommodation with a hot tub??! The Wight Holiday Company have a lovely property called The Jetty, it has a hot tub, private gated parking, sleeps up to four people, is minutes from the sandy beaches and is pet friendly. The local bars, shops and eateries are a 5 minute walk away. We are offering either a 20% stay off of 7 nights Friday 20th July or a free ferry crossing for a short break Monday 16th July – Friday.